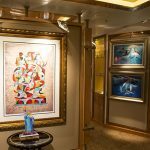 Not only does David “Lebo” Le Batard create art for his collector’s enjoyment, but also as a means to passionately help others. 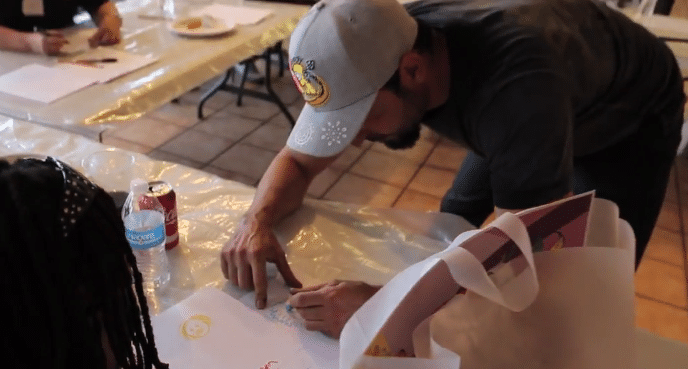 One of the Miami artist’s most recent charitable endeavors was a free art workshop for military veterans on June 26. 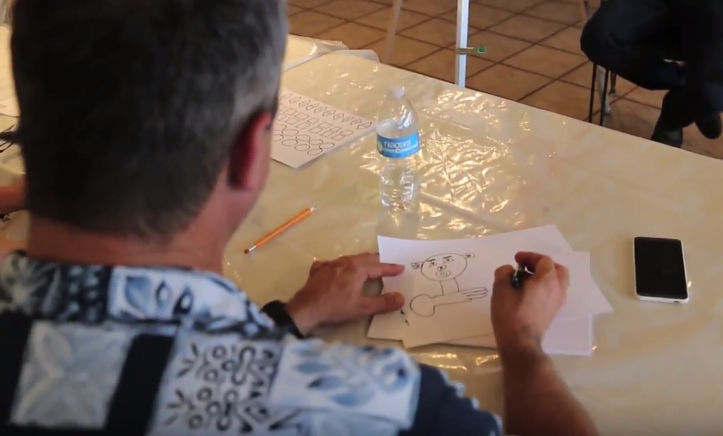 Through ArtServe, a coalition that works to help artists become involved with communities of underserved people and at-risk youth, a group of veterans met and worked on individual paintings with the iconic founder of Postmodern Cartoon Expressionist to learn a new skill and relieve stress caused by PTSD. 10 veterans were selected on a first come, first serve basis to participate in the event. 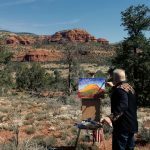 While experience in art was preferred, newcomers were more than welcome to join. The only requirement was a desire to share experience through art. The event was a smashing success. Veterans found the act of painting cartoon figures under Lebo’s guidance therapeutic for their minds and bodies. At the end of the workshop, Lebo encouraged the veterans to write down the names of people they had lost in battle or in life on their artwork to remember them in a positive light. “There’s a certain catharsis in remembering that, doing that, and sharing that as a group hopefully provides a release from that pain and allows for more healing to go on in place of that,” Lebo said. Lebo recently worked with ArtServe as its signature artist for its 2017 RedEye fundraising event, a program that showcases talent in all forms of art. The proceeds from RedEye went to funding ArtServe’s mission. At the exhibition, Lebo displayed new works of art in addition to his own clothing line. This workshop isn’t Lebo’s first collaboration with veterans, either. In 2016, he partnered with U.S. Army veteran, Sgt. Michael Williams to create what they called “Purpleheart Art.” In this heartwarming collaboration, Lebo painted on top of wood canvases created by Williams as part of his woodworking hobby turned career. To add a work of art by Lebo to your collection, contact one of our gallery consultants at (800) 521-9654 ext. 4 during business hours or sales@parkwestgallery.com after hours.